Everybody knows that I am a huge mask fanatic. 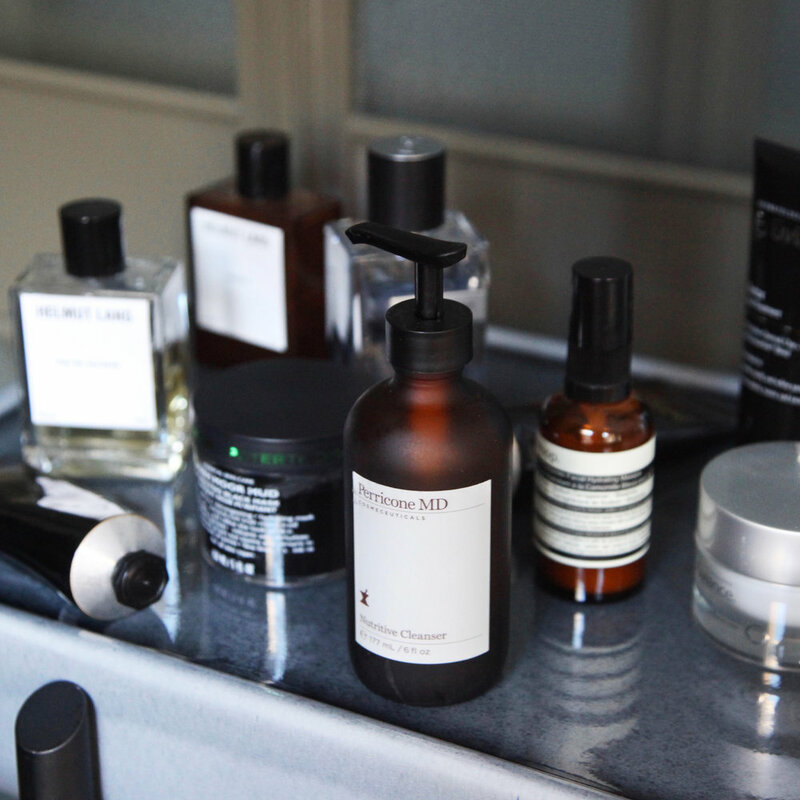 As I get older, skincare has become more and more important to my daily routine. I used to have a bit of trouble with my skin when I was younger - nothing too intense, but some light acne, oily parts, etc. I've mostly aged out of those skin problems, but I'm still human, and definitely not immune to the occasional blemish or two! I test out new products all the time, and I love trying different masks. There are so many great brands out there that can basically help with any skin issue. So here, I've rounded up some of my recent favorites from my go-to brands and broken down how each of these can help you! Bliss Spa has been around for years, but honestly I didn't discover the brand until my move to New York. They offer amazing spa services at their boutique locations, but also sell seriously effective products for a variety of skin issues. My personal favorite from the brand is the Multi-'Face'-eted Anti-Aging Clay Mask. This one is super moisturizing and helps to unclog pores. It's great when you're feeling a little dull or need to do a gentle pore cleaning, as it doesn't dry you out after using. I always feel brighter and lighter after using, and it definitely helps even out my skin tone. I love Bliss products because they seem to be more spa-quality than a lot of other products out there, probably because they come from a team who is well-versed in spa treatments! No joke, Peter Thomas Roth is one of my absolute favorite skincare brands. All of their products I've tried are absolutely amazing and do exactly what they say. Seriously. The first mask I ever tried from the brand was the Irish Moor Mud mask, and it's a classic for a reason. This mask is dark black, so be careful when applying! It is extremely hydrating, soothing, and detoxifying. It boasts volcanic ash, activated charcoal, and of course, over 9,000 year old Irish Moor Mud that help to cleans and minimize pores and fine lines. I use this one when I'm having some breakouts, and it always helps to minimize the blemishes. It leaves me feeling refreshed, and my skin feeling smooth, so I don't mind the little bit of mess it can make to clean up. Once I tried the Irish Moor Mask, I was quickly hooked on the brand. The second mask I wanted to try was the Rose Stem Cell Bio-Repair mask after hearing amazing things. The mask combines 4 different rose stem cell extracts into one cooling gel that helps tone and brighten skin. This mask is so powerful - I feel so refreshed, smooth, and radiant after I use it! And I always immediately notice a difference in the lines on my face. As an added tip, keep this in the fridge for an even more cooling feeling - perfect for hot summer nights! Another brand I love for their high-potency products is Skinceuticals. The whole background of this label is that they combine skincare with the research and science behind pharmaceuticals to give you the highest potency and quality products possible. The first mask I tried from the label, who was kind enough to send some products over, was the Clarifying Clay Masque. I love a good clay mask, but a lot of them are drying. The natural clays of this mask help to gently exfoliate, but always keep my skin hydrated. I hate that papery feeling some clay masks leave on your face, and this one definitely does not! Because this helps clear pores, it's also perfect for acne-prone skin. The final mask in my arsenal is Skinceutical's Phyto Corrective Masque. This is another gel-based mask, similar in texture to the Rose Stem Cell from Peter Thomas Roth. It's cooling and calming - perfect for sensitive skin. 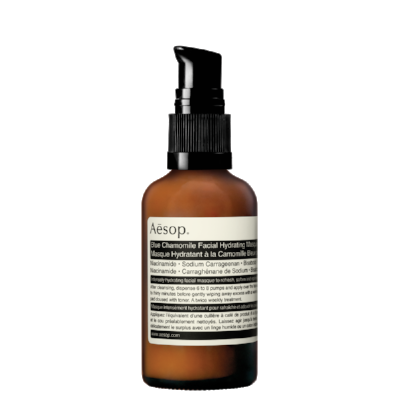 I use this one whenever my skin is a little agitated and red, it instantly reduces redness and irritation. I usually pop this mask on in the summer after getting a little too much sun - it's super moisturizing and reduces the immediate redness from sun exposure. Perfect after beach days! I'm always looking for new products to try, so let me know some of your favorite skincare brands in the comments! When the seasons change, I get in a mood to refresh things – my wardrobe, my apartment, everything! I just get so antsy to make a change, especially in spring and summer. When the weather gets warmer I tend to also switch up my cologne. I wear a fragrance every day, and usually stick to Helmut Lang’s Cuiron, or Le Labo’s Vetiver. But I decided this season I want something a little lighter to match my summery mood. On my journey to discover my new summer scent, I came across a brand that let’s you customize a fragrance to fit your taste. I’m all for personalization, so this really intrigued me. Scent Trunk is built on personalization – in just a few steps, you have an individual fragrance based on your own tastes! It all starts with a scent kit, sent by mail, that has 6 different smells: Citrus, Woods, Aromatic, Floral, Amber, and Chypre. Once you rate them, you send your kit back, and in just a few short days your custom-created fragrance comes straight to your door! I loved how quick the turnaround was, and I was really happy with the outcome. What’s your scent of the summer? Let me know in the comments! Another year, another season of men's fashion! 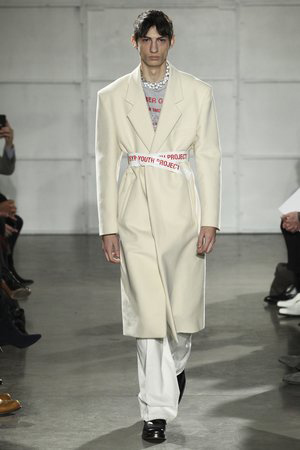 This season at NYFW Men's, the fall shows really brought the heat. Menswear shows are usually not as much of a spectacle, or draw as much of a crowd, as the women's shows do. But this season truly was one for the books, as the CFDA continues to promote and encourage the men's calendar. I catch the shows religiously on Vogue.com, or watch live streams of my favorite brands, and this season was no exception. Here I'm breaking down a few of the trends I noticed, and forecasting your wardrobe for next Fall. As with all things in life, fashion is an ongoing discussion, so let me know what trends you noticed for the season in the comments! The runways were filled with checker patterns and sharp plaids for Fall 2017. The pattern itself is nothing too new, but the ways it was used seem fresh and modern. Take for instance a full dark brown and orange plaid suit in wool from Orley, or a green checked plaid 2-button blazer with corduroy pants from Billy Reid. Dapper? Always. Modern? For sure. Full plaid looks are sure to be seen on dapper men and dandies everywhere next season (Pitti, I'm looking at you! ), but beware, this pattern is not for the faint of heart. It takes a confident man to wear a full plaid suit with orange details. Also of interest were plaid and checkered coats of all varieties, as seen here at AMI and Dries Van Noten. To be honest I'm not usually one for camo prints, but I am one for a good statement coat. This season offered statement coats in spades. The ones that really caught my eye this season were two in camouflage prints - from Ovadia & Sons and Robert Geller (left and right, respectively). I'm actually a huge fan of both brands - they deliver awesome, innovative menswear that touches both high-end and street sensibility. Watch out for camouflage coats next Fall - I guarantee this print will be all over! Okay so this trend isn't really a trend, nor was it shown during NYFW. But come on, this collaboration is everything people were talking about during the men's shows. It is the absolute perfect combo between street and high-street fashion, and is bound to be seen on cool kids and celebrities alike next season. I have my eye on quite a few pieces myself, including the red fanny pack above, shown on the runway as a chest bag. Practical? Maybe not. Attention-grabbing? You bet. Winter in New York is rough – I’m not going to sugar coat it. The wind is strong, weather fluctuates, we get storms, and my skin honestly suffers. I have normally oily skin, which my mother has SWORN to me will help with wrinkles as I age (but for now, it’s really problematic). I love trying new products that might help with my winter skin issues, so here I'm rounding up some of my new products that I love for the season. The first product on my fall favorites list is actually a duo. Full disclosure, I received this set as a gift from Sunday Riley, but they have been truly working for me lately. The Sunday Riley Martian Mattifying Melting Water-Gel Toner and U.F.O Ultra-Clarifying Face Oil work in tandem to clear the skin, moisturize, tone, and alleviate breakouts all with minimal oil. First you use the gel toner after cleansing day or night. The gel turns a little watery after applying, and kind of melts right into your skin. It’s a great moisture-rich toner! A lot of times with toner I feel like it strips my skin or is too drying, but this one does a great job of moisturizing. After using the toner, I apply the U.F.O. face oil. To be honest I am not a huge fan of facial oils. As I said I have naturally oily skin, so I never understood the idea of putting oil on oil to get rid of oil (I’m not crazy, right?). This has a little salicylic acid in it for acne control. I don’t really have huge breakouts anymore, but I do have the occasional blackhead or pimple, and a little bit of this really keeps my skin in check. I usually do this routine at night because I don’t like to leave the house with too much product on my face, but it can definitely be done in the morning. I have to say I’ve definitely noticed a difference in my skin’s texture and seen fewer breakouts lately! I’ve also been looking for a moisturizing mask that will hydrate without leaving too much product buildup. I stumbled into my favorite store – Aesop – to see what they might have. After discussing my concerns with the shop attendant, who was super helpful, she suggested the Blue Chamomile Facial Hydrating Masque. This mask isn’t your typical pasty leave-on-wash-off dry cracking mask you may get from the drug store. This mask can actually be used as a moisturizer. I apply this once or twice-weekly after cleansing at night and leave it on while I sleep. I find it helps when my apartment’s heating is so strong that I have to sometimes turn the air conditioning on. See, I told you my skin doesn’t know what to do in winter! My final pick is small, but a necessity! 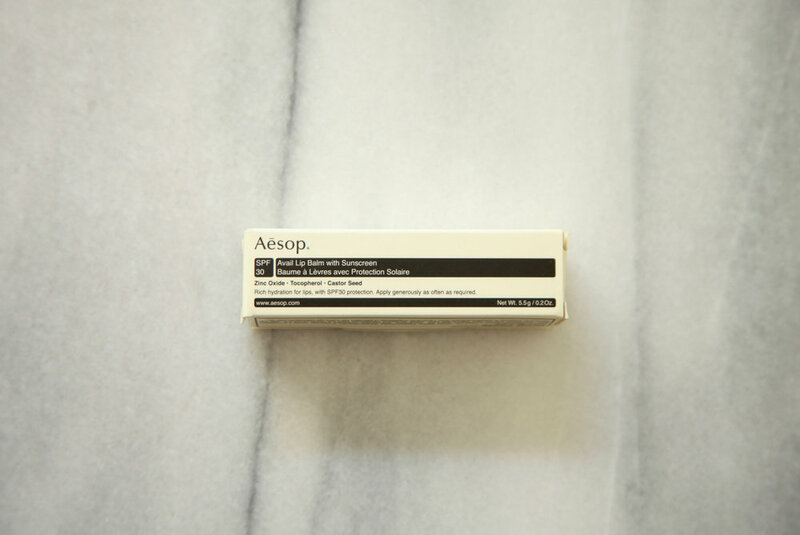 While at Aesop I also picked up the hydrating lip balm. People tend to forget, but in winter the sun is just as strong, so I picked this one because it has SPF30 protection. Not only that, but it is super hydrating without that greasy, sticky feeling from some lip balms. This one is definitely something I’ll keep buying throughout the year, regardless of season! Like I said, I love trying new skincare products, so if you have any recommendations, drop a note in the comments! All grey with a hint of pink? Count me in. Who doesn't need a perfect, black hoodie, am I right? Up your hoodie game with new-season fabrics, like velvet. 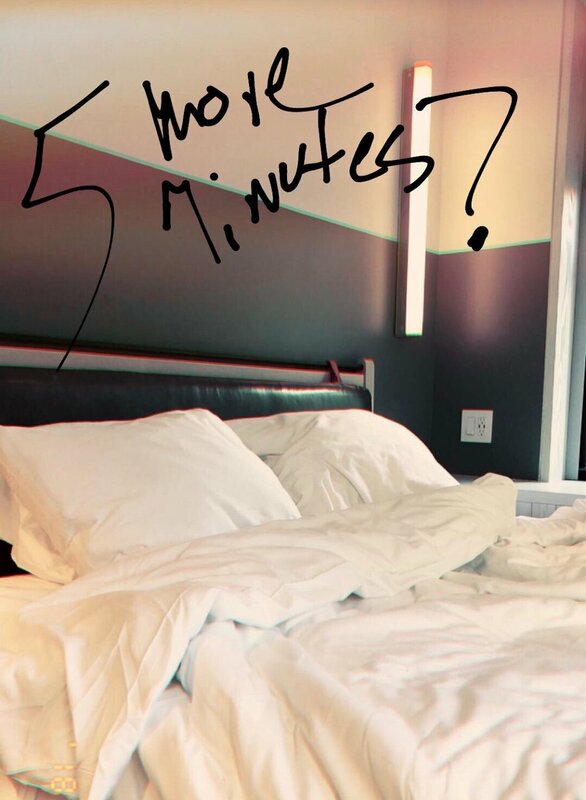 Find this one here. Tonal outfits are a huge love of mine, so I'll definitely be wearing outfits like this come fall - head to toe in one color palette. My favorite is of course the cropped trouser. Honestly, I usually crop all my pants because I like to show a little bare ankle or statement sock, so having them already cropped perfectly is such a bonus. Layering is always a big Fall trend in menswear, and I love the 90s throwback layering shown here. A concert tee (vintage or reworked) is perfect to throw over a light long sleeve tee, or a thermal as the weather changes. As the weather begins to turn and Summer in the city comes to an end, I’ve turned my mind to the trends for Fall that I’m excited to try. 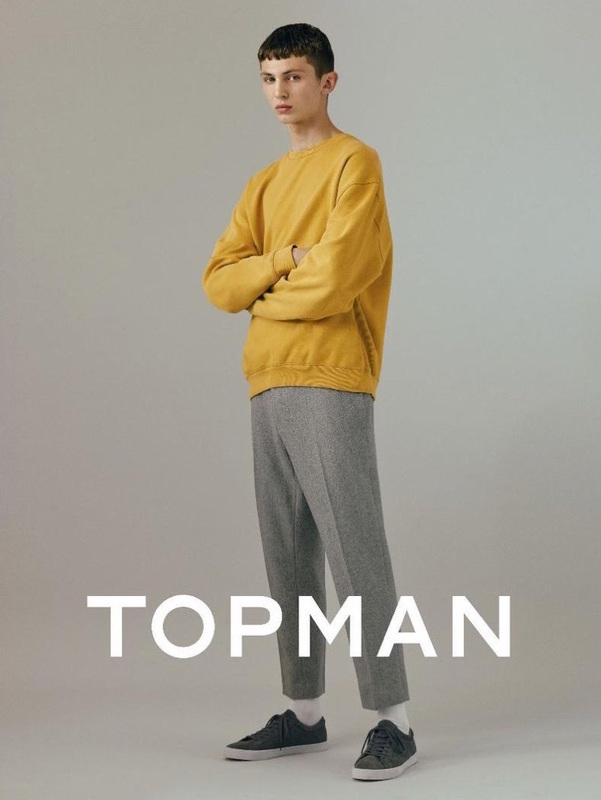 One of my favorite stores, Topman released their 11 Key Pieces editorial just in time for my new season purchases (and conveniently around the same time my paycheck hit my bank account). The edit is decidedly 90s with a dose of easy street clothes - perfect for Fall transitional dressing when you don't really know what to wear between August and November. This style is exactly what I love to go for: easy, staple pieces that are just a little different. They're great essentials to fill that Fall wardrobe with before the weather drops too low to wear grey wool cropped pants, or a statement bomber, without a heavy coat over it. Each category in their edit makes up a perfect trend guide for the streetwear-savvy dresser. Check below for a selection of the campaign, as well as comments on my favorite pieces! Let me know what your favorite pieces are in the comments!